The University of Chicago recently sent out a letter to its incoming freshman class, welcoming them to the school and telling them that they should not expect to see trigger warnings or safe spaces on campus. But the letter, which implies that such things contradict the school's "commitment to freedom of inquiry and expression," proves that UChicago doesn't understand trigger warnings or safe spaces at all. "You will find that we expect members of our community to be engaged in rigorous debate, discussion, and even disagreement," states the letter, which was sent by Dean of Students Jay Ellison. "At times this may challenge you and even cause discomfort. Our commitment to academic freedom means that we do not support so-called 'trigger warnings,' we do not cancel invited speakers because their topics might prove controversial, and we do not condone the creation of intellectual 'safe spaces' where individuals can retreat from ideas and perspectives at odds with their own." For one thing, a university cannot completely stop students from creating their own safe spaces, even if it actively condemns them. However, more importantly, a safe space is not one in which individuals "retreat from ideas and perspectives." Safe spaces and trigger warnings are not about censoring differing or controversial opinions. They are about showing courtesy and compassion to people who have had traumatic experiences. When someone works to create a safe space, they are not asking to be "coddled." Safe spaces do not serve as a retreat from ideas — instead, as Sian Ferguson wrote for Everyday Feminism, "Safe spaces provide a network of support and understanding." A safe space, depending on how it is designed, can serve as an oasis for marginalized people, for people who have undergone trauma. It is not an "echo chamber" for the privileged, but rather a space that by its nature goes against the oppressive currents of most of society. Nobody is forcing university officials to enter these safe spaces and censor themselves. Nobody is telling them to never express their opinions in other places. A safe space is meant to be a refuge. If someone has had a traumatic experience, does UChicago's dean of students really think they are being "coddled" when they seek a safe space in which their experience is validated? Moreover, when someone asks for trigger warnings on academic texts, they are not asking for censorship. Professors can't claim to know the lived experiences of every single student they teach, and when they disseminate large amounts of content, they won't always know who might be affected by it. If an assigned text contains an account of sexual assault, for example, or a racist encounter, it doesn't cost a professor very much to alert students of the text's contents, and to perhaps provide an alternative reading. This doesn't mean students are asking to be exempt from consuming "controversial" ideas. They are not even asking to be exempt from discomfort. But if a student is a survivor of sexual assault, a racist hate crime, or some other traumatic experience rooted in structures of violence, they're not hiding from reality by wanting to be aware that they will be reading about something potentially triggering. It's appalling that people typically care more about receiving spoiler alerts than they do about being courteous about people's lived experiences. Displaying empathy for the different experiences our students bring to the classroom is not a threat to our academic freedom. Allowing for a diversity of perspectives to flourish, even when that diversity might challenge the very structure of our course and its material, is not a threat, but an opportunity. Our first reaction to expressions of student agency, even when they seem misguided or perhaps frivolous, should not be to shut it down. If we really value academic freedom, then we need to model that with and for our students. Gannon is right: Ultimately, respecting the lived experiences of individuals who have had to confront oppressive institutions of power is a show of empathy and compassion. Putting trigger warnings on a text is an additional opportunity for discussion, not a way of censoring it. Safe spaces don't shield students from reality; they serve to respect and affirm people's traumatic encounters with the often-oppressive nature of reality. For nuanced dialogue and discussion to take place on a college campus, students and faculty members need to feel safe enough to voice their views without their identities being disrespected, threatened, or rendered invisible. 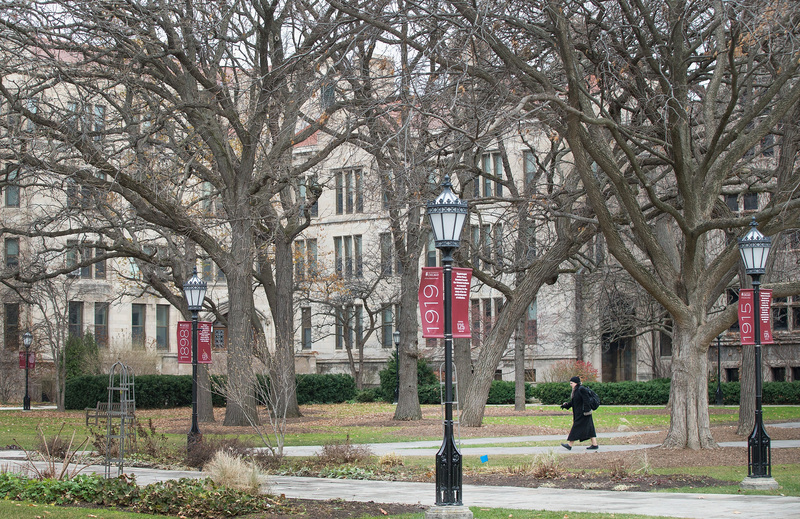 If UChicago really wants to foster the free exchange of ideas, then it should strongly reconsider its latest policies condemning trigger warnings and safe spaces.